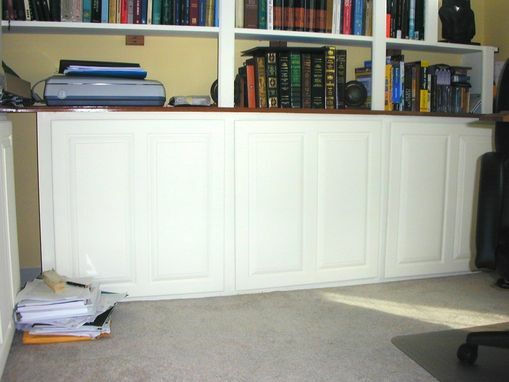 Constructed on-site in Alexandria, Va, this built-in corner cabinets with shelving met the customer's requirement to provide lots of storage space for books, artifacts, and office supply storage. 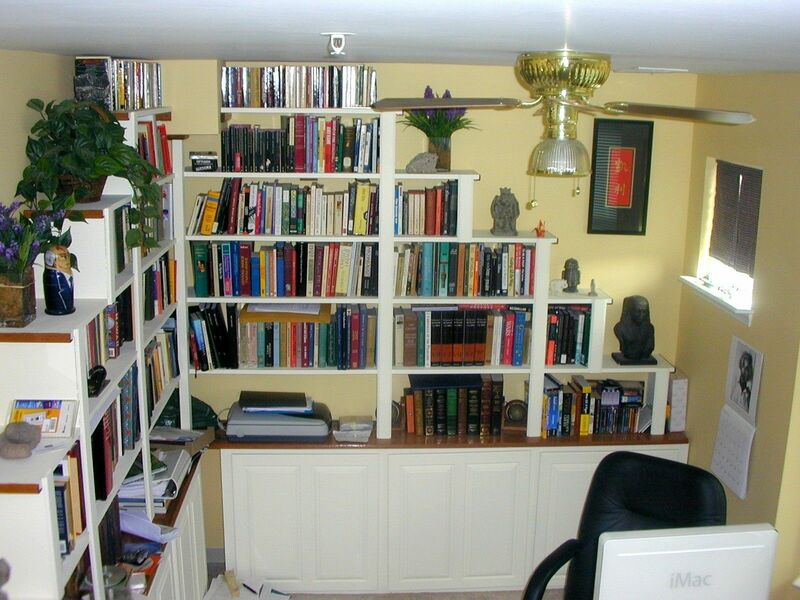 The entire unit was constructed of poplar and primed and painted a semi-gloss interior white. The doors were frame & raised panel construction and were sealed, primed and painted. 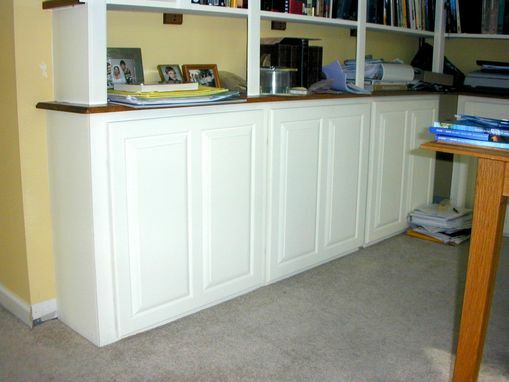 The counter top for the cabinets was constructed of red oak and finished with several coats of a satin finish polyurethane. This unit was constructed on a landing between floors of the customer's townhouse.